This is the Big Ben Clock in an antique gold finish, a beautiful furnishing that is sure to bring an impact into any room, the antique gold finish gives timeless style while the traditional features make it unique and handsome too. 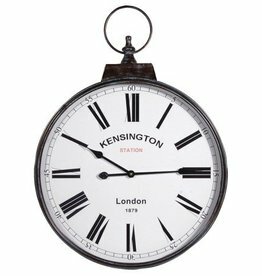 The clock face is based on the ever famous Big Ben clock in London. Gorgeous large clock, with handle. Painted frame with an antiqued face.